“Rory Stowaway is a young mouse yearning for adventure. He wants to explore the World Beyond like his ancestors but, ever since Grampa disappeared during one such expedition, his family feels differently. Papa believes his father was eaten by a cat and Gran insists that her travelling days are over. Rory is not so easilydisuaded and soon enough the entire Stowaway family finds itself embroiled in a mouse-sized fantasy bigger than even Rory could have imagined. Like Arrietty of The Borrowers or Stuart Little, Rory Stowaway is a pocket-sized hero set against rather large odds…When Rory discovers evidence that his Grampa may still be alive, plenty of action ensues. Young readers will delight in Rory’s miniature mouse world and cheer on Rory, Gran and the rest of the Stowaway family as they battle against cats, escape scientists and survive a hurricane. Meghan Marentette’s debut story is nicely paced and hearkens back to a simpler time—Rory and the ‘Weedle’ mice live in a world without Google, Xbox or iPhones. 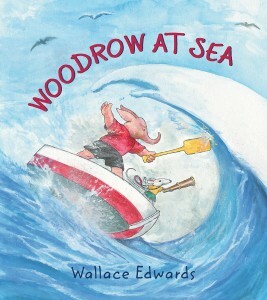 The Stowaways are thoroughly human despite being mice and young readers will easily relate to the sibling rivalry, family conflicts and Rory’s frustration with his parents as he tries to become the mouse he wants to be. 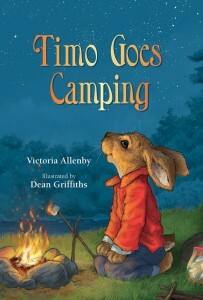 The book itself will appeal to youngsters with its glossy hardcover, a red ribbon bookmark and lively illustrations by Dean Griffiths.